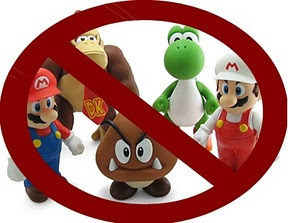 After being in the industry for nearly half his life, K has a knack for knowing when a video game company is starting to slide past the point of no return. Something about the way the higher-ups are getting tight-lipped and holding one too many closed door meetings, how HR is scurrying around with their heads ducked down, how the game they're making has never left square one of design even after 3 years of development. Then he knows it's time to polish off the ol' resume because things are about to hit the proverbial fan. 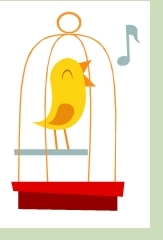 He's like the canary in the mine; if you see K leave, it's probably time to high-tail it outta there. Video game companies can be ruthless when it comes to pink slips. There's been times when K has gone to work the day after a game launches, only to find the doors locked with everyone milling around in the parking lot. They're all told to go home for the day, and then HR proceeds to call them one by one to tell them whether they still have a job or not. Why the cruel and unusual treatment? Because they're afraid the newly-fired employees will make a scene or steal things or vandalize the place. So if you left anything important or personal at your desk, it's 50/50 whether the company will send it to you or just claim they didn't find anything. This is why K no longer brings any family pictures or old school collectibles from home to decorate his cubicle; there's no telling if it'll ever make it back. This kind of cutthroat environment is one of the reasons why the general population of video game developers is disproportionately in their early 20's. (Quite the opposite of the engineering world where the median age is 40's.) People get scared off by this kind of lifestyle. If you've got a family to support, job insecurity like that is not going to cut it. A few jobs ago, K's studio at the time was bought out by a major publisher, and 40% of the staff was let go. Afterward, the new company hired an outside consulting company to help the shell-shocked survivors expressing their feelings about the situation. Employees were asked to write poems or draw pictures that depicted their emotions and then share them with the room (I kid you not). When it was K's turn to take the mic, he basically went up and said (in much nicer words), "Buck up, you pansies. I've been through 12 layoffs on the past 14 years; survived 10, didn't for 2. That's almost 1 layoff per year. If you want to stay in this industry, this is the reality. So instead of moping around, help your friends who got laid off by sending their resumes to all your video game contacts. And get back to work, so our game will ship on time and the rest of the team won't get laid off as well." Afterward, his boss gave him a big bear hug and said "I hear ya, man." Thanks so much! Now that I reread the post, it sounds so gloomy. K actually made through this last round of recent layoffs (at the company he just joined!) so I'm absolutely thrilled about that. Sounds stressful but good information for someone that might be thinking of getting into that field of work. I came across your blog from a comment you posted from a totally irrelevant website. I wasn't allowed to touch my computer (which I had left with a few logins open, including my personal Facebook account [we were developing a Facebook game]). They gave me the opportunity to remove my decorations and personal items from my desk, but did not bring with me the wall whiteboard that I had purchased. It was devastating that one day your one of the best in the company and the next your put into a corner and basically forced to leave. I was harrased when co-workers tried contacting me with kind words and threatened with my NDA. For anyone that wants to get into this field, it is not worth the hours or the pay in my opinion, and while I am a gamer and passionately in love with the industry, I will leave gaming as my hobbie and not my form of income. Many nights I burned the midnight oil and stayed til 3am, worked weekends and even Holidays (Christmas, New Years, Thanksgiving - I did not spend them with my family). I was putting a good 70+ hours a weeks and not only did it deteriorate my mental state, but my health and personal life. /rant. Thank you for this blog, bookmarking! @Anonymous - K totally agrees with you. It's the mark of a very immature industry in a way. It seems like there's no such thing as company loyalty because it's not a two way street; they expect you to be patriots for the company & product but will still can you at a moment's notice or treat you like a pariah if you quit. Best of luck with your new career, wherever it takes you!